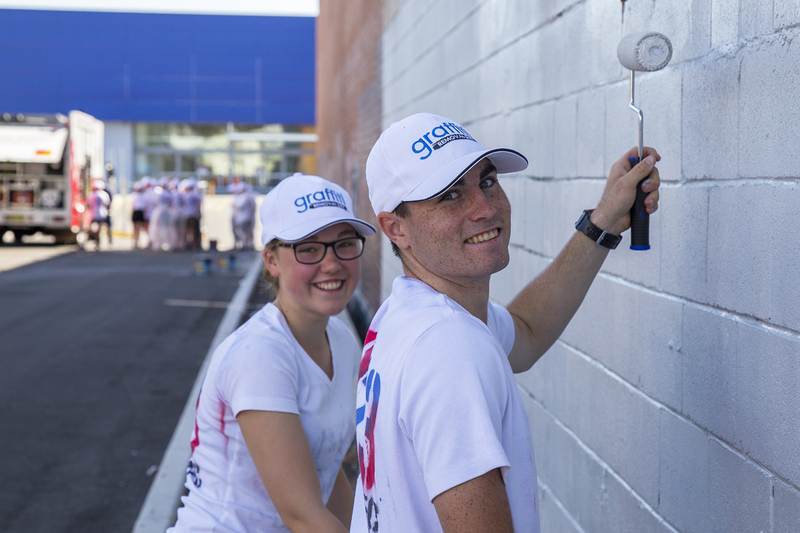 The New South Wales Government established an annual state-wide graffiti removal and prevention day known as ‘Graffiti Removal Day’ to encourage local communities and members of the public to volunteer and become involved in the removal and prevention of graffiti. Flagship Communications has been engaged by Graffiti Removal Australia to promote, develop and implement a Stakeholder Engagement Plan for Graffiti Removal Day with the aim to increase awareness and encourage community involvement on the day. The NSW Government engaged Flagship Communications and Graffiti Removal Australia to deliver and promote Graffiti Removal Day. Responsibilities included: engagement and management of all subcontractors; development and implementation of Master Program; site selection; development and implementation of a Project Plan for each site; budget for project; identification, management, training and safety of volunteers; collection of data for evaluation report; purchase of materials and equipment; and maintenance of required insurances. Flagship developed and implemented a Stakeholder Engagement Plan with the aim of increasing awareness and encouraging community involvement in Graffiti Removal Day by proactively engaging key stakeholders and promoting the event in the media. During the six years of the contract, Flagship Communications achieved significant growth and exceeded all key performance indicators.